Pressure is mounting for change in Massachusetts when it comes to criminals released on bail who go on to kill police officers. It's an issue the NBC10 Boston Investigators first told you about last week. 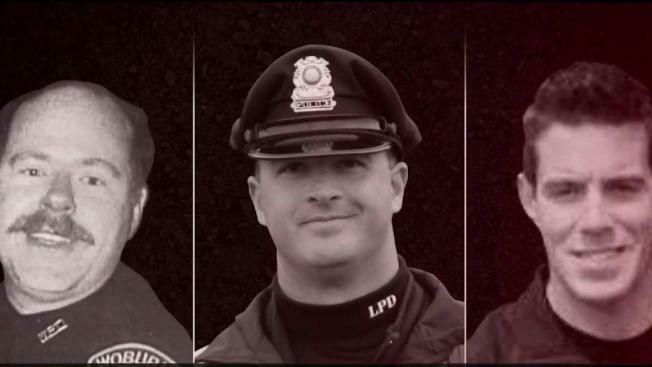 Three Massachusetts officers have been murdered since 2010, with three career criminals accused. And just this week, a Maine sheriff's deputy was gunned down by a suspect who was free on twice-lowered bail following an arrest in Massachusetts last month. Reaction has been swift and strong to NBC10 Boston's report, which came on the heels of the April 12 shooting death of Yarmouth police Sgt. Sean Gannon. His accused killer, Thomas Latanowich, was out on probation after serving four years for gun and heroin charges. Over the past 15 years, he has racked up 125 criminal charges. Four influential police unions are now putting pressure on Gov. Charlie Baker, calling for change. The Massachusetts Coalition of Police, the Boston Police Patrolmen's Association, the National Association of Police Organizations and the United Coalition of Public Safety all sent letters to the governor this week. "There is clearly a flaw in the system when the most dangerous continue to walk the streets," Mass C.O.P. said in its letter. "It wasn't a matter of if, it was a matter of when these tragedies were going to strike. "We understand there has to be varying degrees of punishment for different offenses," the letter continued. "But when you have 125 offenses on your record, many of them being violent, you should not be walking around waiting to victimize again. People should not have to suffer because some miscreant cannot be rehabilitated." The Boston patrolmen's union's sternly worded letter said it is "angered by the continued leniency granted by our Judicial System to violent, repeat offenders and the tragedies that ultimately happen because of that leniency." Calling it a "disturbing pattern," the union questions why "there has never been any accountability... for those responsible for allowing habitual, dangerous criminals to roam free, wreak havoc and murder brave men." The union implored Baker to take a leadership role, saying the officers' deaths "are directly due in part to Massachusetts judicial leniency," calling it "unacceptable." "This tragedy compels us to examine how this could happen and how to prevent it from happening again," the United Coalition of Public Safety letter reads. "It has exposed serious flaws in a judicial system that allowed a repeat violent criminal to remain on the street, posing a serious threat to both law enforcement and citizens." 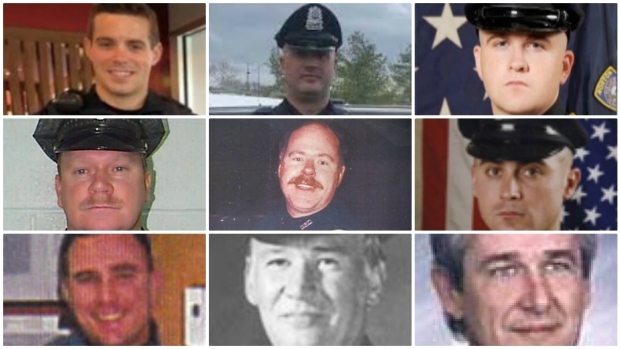 A fifth union, the Massachusetts Chiefs of Police Association, said Friday it was working with chiefs who have experienced line-of-duty deaths in their departments to formulate a plan moving forward. Monday, MCOPA sent a letter to the state's Senate thanking them for creating a $2 surcharge for vehicle rental contracts to fund the training of police officers. Baker called Thursday for a review of the courts.